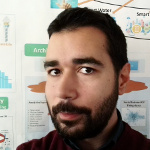 Andrea Vinci is a postdoctoral researcher at ICAR – CNR, where he works since 2012. His current research focuses on GPU-computing, Internet of Things, distributed algorithms, and multi-agent systems. Copyright © 2019 Andrea Vinci. All rights reserved.